February 20, 1937 Nancy Wilson, song stylist, was born in Chillicothe, Ohio. At the age of 15, Wilson won a talent contest sponsored by a local television station. The prize was an appearance on a show which she ended up hosting. 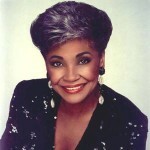 In 1999, Wilson was inducted into the Big Band and Jazz Hall of Fame and in 2004 she was designated a NEA Jazz Master, the highest honor that the United States government bestows upon jazz musicians, by the National Endowment for the Arts. In 2005, Wilson was inducted into the International Civil Rights Walk of Fame. ← February 19th in African American History – William “Smokey” Robinson, Jr.
March 5th in African American History – Robert Henry Jenkins, Jr.